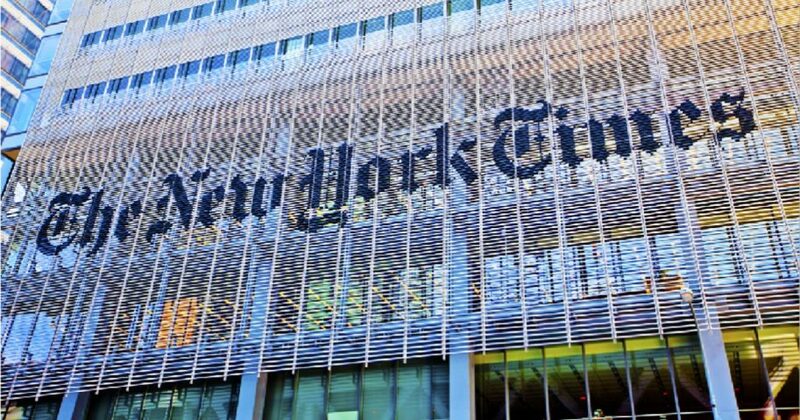 The Times is working to avoid triggering panic attacks among the type of readers who felt the election needle duped them into believing former Secretary of State Hillary Clinton would easily win. The needle supposedly created confusion between real-life election data and flawed predictive polling. “Until we get a sufficient sampling of early results to make that model meaningful, we won’t even surface the needle,” Times Managing Editor Joe Kahn told Vanity Fair’s Joe Pompeo Monday. There will now be two needles – one for the House and one for the Senate – and neither will be placed high up on the front page, he said. “People have expressed a concern that even though our real-time election model is extremely valuable, that despite that, we should still be very cautious about featuring the needle prominently in our coverage on election night — not because we’re not confident in it, but because certain readers may have a nervous reaction to the re-introduction of the needle,” Kahn said. The Times’ needle initially showed Clinton with an 85 percent chance of victory on Nov. 8, 2016. But then the needle began lurching toward Trump, one editor told Pompeo. “(Y)ou could tell who was watching, because they were the ones who started getting distraught … There were people crying in the newsroom that night,” the editor said. The change comes as poll numbers are increasingly tightening ahead of Tuesday’s midterm election. Democrats and Republicans are essentially tied in the roughly 30 House districts rated as toss-ups by the Cook Political Report, which relied on 10,000 interviews for its conclusion. Democrats need to win only a handful of these toss-up districts to gain the net 23 seats needed to take control — it’s one of the reasons why they are considered favorites. Each of the final 28 poll results was within the margin of error, with 20 of the 28 within 2 percentage points. According to a majority of polling, Republicans are expected to lose control of the House but keep control in the Senate after the Nov. 6 midterm elections. However, there is growing speculation that Republicans could be more successful than polls suggest. In the Senate, there are six seats that are currently listed as “toss up” elections, four of which belong to current Democratic senators, according to Real Clear Politics. Republicans need to maintain 51 seats in the Senate in order to keep majority.